Behold The Slim J. Press Shaggy Dog. | A Continuous Lean. 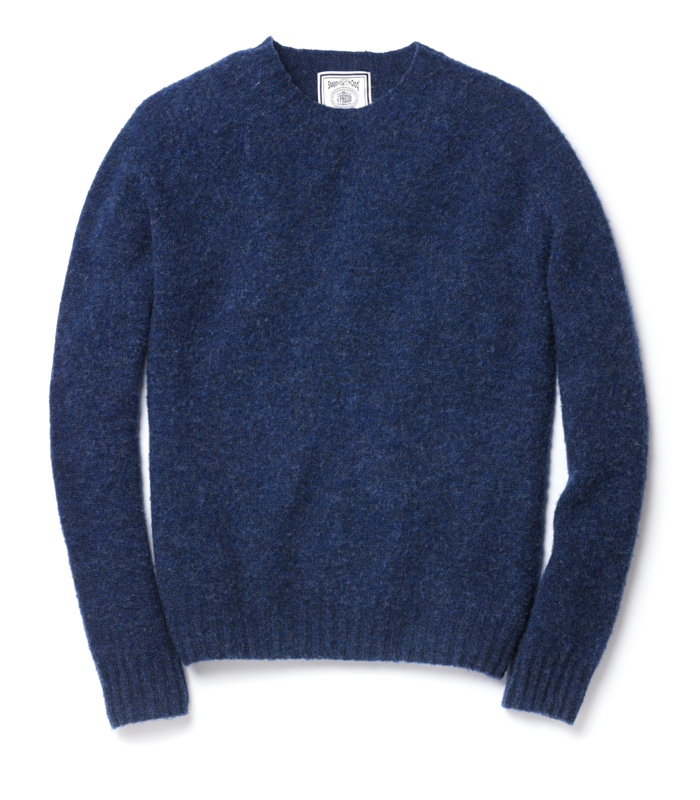 Since the dawn of trad, Shetland sweaters have been the knit of choice for natty East Coasters and those that study their style. 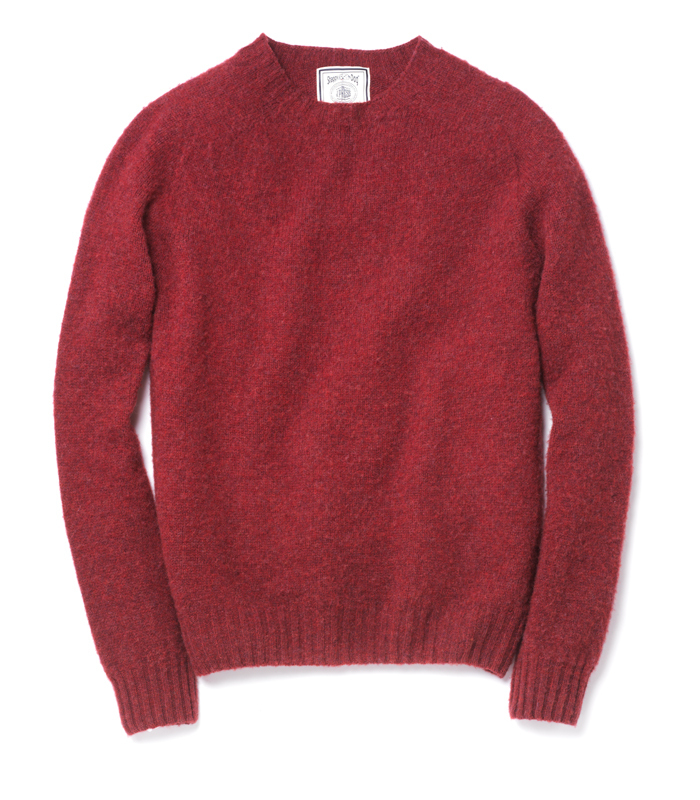 The only catch is that, like so many other classic Ivy pieces, Shetland sweaters traditionally fit about as well as a burlap sack. 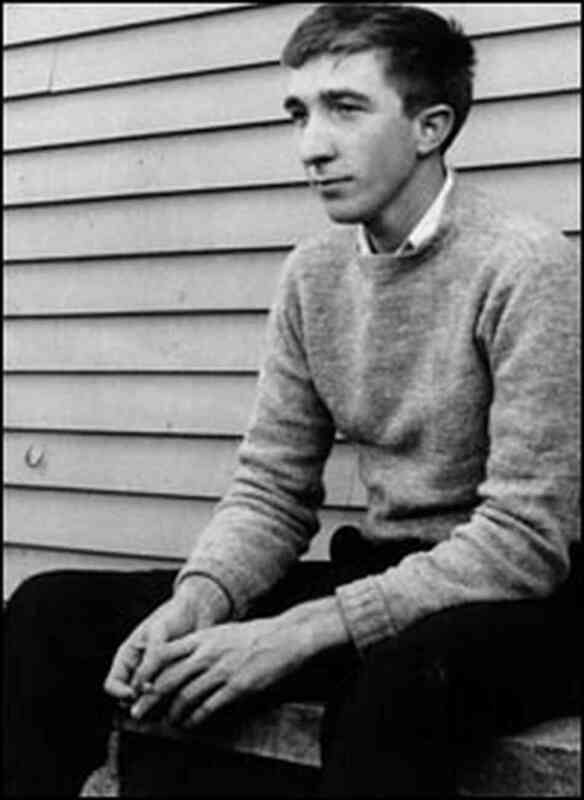 For all of us who have tried to pull off the “young John Updike” look only to come out looking like men in Shetland dresses, J. Press York Street’s trim Shaggy Dogs are the holy grail of updated American style. Not all Shetlands are Shaggy Dogs, but all Shaggy Dogs are Shetlands, and that’s not the start to an IQ test question, just a crucial point of clarification. While a Shetland denotes any sweater produced on the Shetland Islands using that region’s distinct lightweight yet robust wool, Shaggy Dogs are a creation that is all J. Press’ own. As opposed to being shorn down for a more uniform texture, J. Press decided (and full disclosure, J. 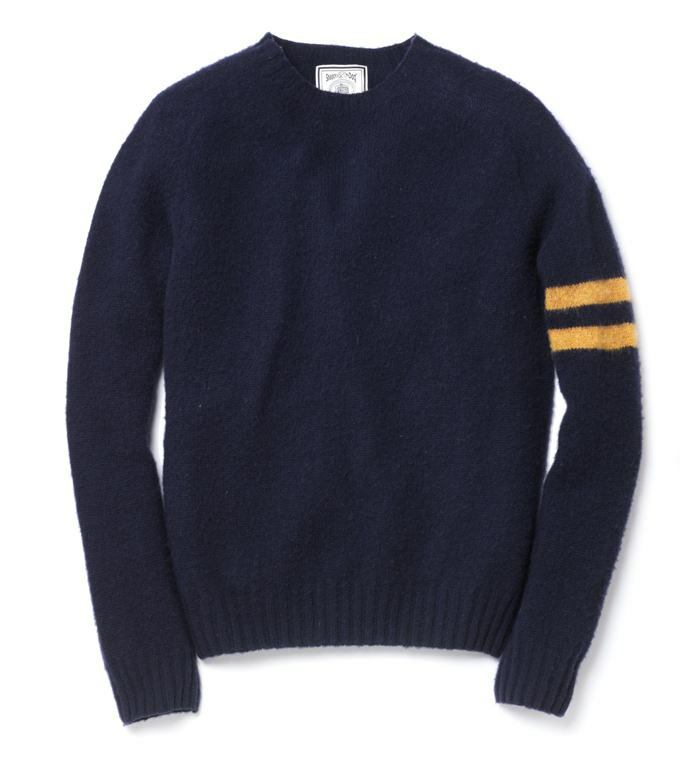 Press is a Paul + Williams client) to fluff out their knits creating a unique brushed look that certainly lives up to its unkempt monkier. They’re lovely. Quite like the idea of customisable “team” stripes on the arm, if that was ever possible. Now if only JPress didn’t charge a $100 flat rate shipping fee for orders going to Canada. Speaking as a very longstanding shetland owner (the best are from Westaway & Westaway opposite the British Museum) the ‘East coast’ boys, Kennedy and all, just don’t have it. The version is still faaar too looong The lower edge of the hem should be over the belt at waist level -NOT hipster level. You’ll all look like Grannies. Same school as those fellas who wear ties as super-lengthy fig leaves. Fluffy is must, that was determined way back in ’61 – before the beatles b(l)eated,- when the French girls showed us how with children’s tiny undersized models, all bare tummy and forearms, set the axiom: “wear inside out”: to show the fully-fashioned seamless construction……. As someone who’s 5’11” and 150 lbs, I’ve actually never had a problem with the fit on the classic J Press Shaggy Dog. The small fits me perfectly, nice and trim. Just my experience.